Fritz has trouble with his “r”s, and introducing himself is difficult. I advised him to spell his name to assist those who think he is saying “Chris.” I explained that Chris is a common name, and Fritz is not. “Well, it was common in Prussia,” he said. I mean, really. Everybody knows that Frederick II a.k.a. 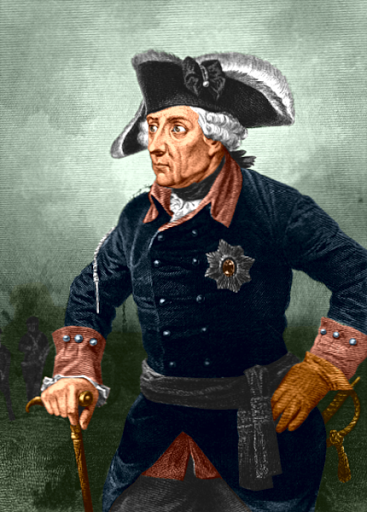 Frederick the Great was known as “Old Fritz.” What’s their problem? This entry was posted in Fritz. Bookmark the permalink.